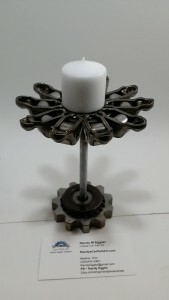 Needing a smaller candle holder, but love the flower look? 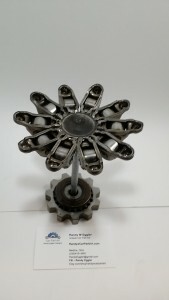 Here is just what you want, stands about 6inches tall, about 5 inches wide at the top. 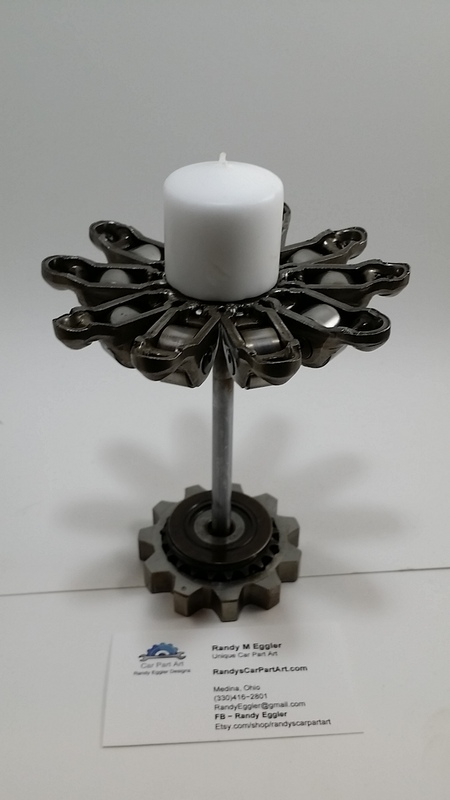 The 10 pedals make it symmetrical, and the gears as the base keeps it upright . 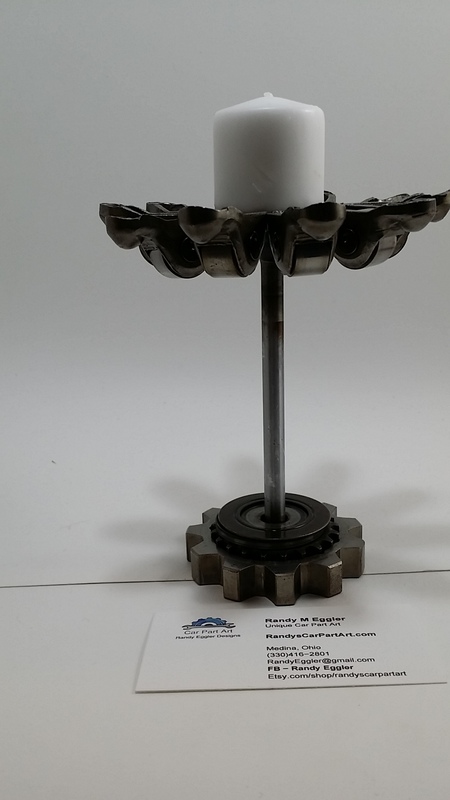 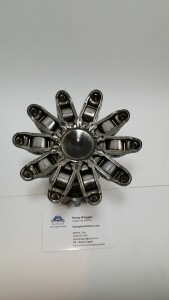 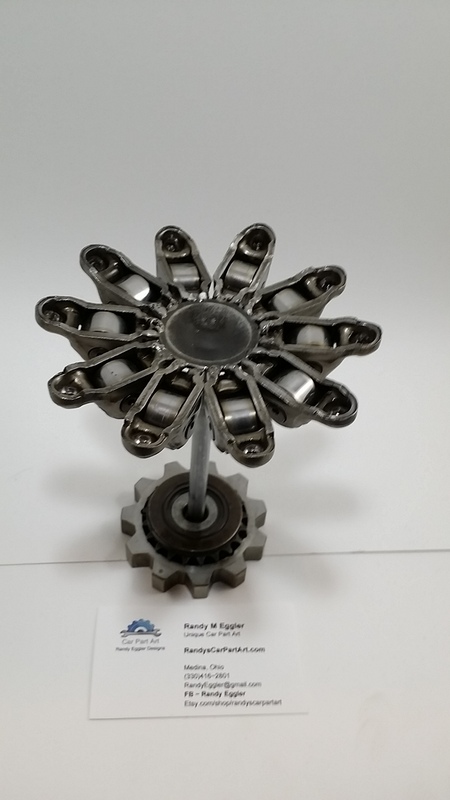 This entry was posted in Flower candle holders and tagged bedroom, Candle holder, Car Part Art, car parts, Flowers, gears, home decor, industrial, Man cave, metal, metal art, welded by Administrator. Bookmark the permalink.